Marinus Herman Nederlof studied geology at Leiden University between 1950 and 1959. His ph.d. thesis was prepared under guidance of Professor Dr. L.U. de Sitter (Tectonics) and Prof. H.R. van der Vaart (Biometrics). On the 1st of January 1959 he joined Shell International in The Hague, in the exploration department, starting with geological fieldwork in Belgium and France. Further contracts brought him to Bolivia, the USA (with Shell Oil Co in operations), Nigeria, Qatar and Oman (chief geologist of Petroleum Dev. Oman). In 1969 he returned to Shell's Central Offices in The Hague to become exploration manager Africa in which post he remained till 1973. Then he joined the Geological Planning department in Exploration, being responsible for exploration geological data bases and development/application of exploration prospect appraisal. This led to the creation and world-wide implementation of an early expert system: Prospect Appraisal by Quantitative Calibration (PAQC) on which various publications are available. In 1983 a transfer to Shell's Corporate Planning Function in London followed, where he was Head of Energy Supply and Technology, working in the context of the global scenario studies and corporate strategy. Mid 1987, after the London posting he returned to the Hague to the Economics Division of Shell's International Exploration and Production Sector, responsible for financial reporting, business environment monitoring, reserves and production databases, and Upstream Planning, which function he fulfilled till his retirement on 1st February 1990. 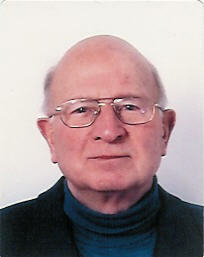 During his career he has had considerable exposure to information technology. Nederlof is fluent in Dutch (mother tongue), English, German, French and Spanish. Since 1 February 1990 he started a consulting and software development firm GAEA (Geology And Energy Analysis). He is a member of the American Association of Petroleum Geologists, the International Association for Mathematical Geology and the Royal Geological and Mining Society in the Netherlands. Nederlof has given many training courses, when in Shell and thereafter, assisted in acreage evaluation, organized many in-house workshops, made geological studies for customers and produced geological software. His clients include: Shell International (The Hague), Petroconsultants (Geneva), Petroleum Analysis (New York), United Nations (Geneva), ARCO Oil & Gas (Dallas), GEO-LOGIC (Fugro) (Leiden), Dutch State Geological Survey (Haarlem), United States Geological Survey (Denver), Clam Oil (The Hague), Veba Oil (Gelsenkirchen), Petroleos de Venezuela (Caracas, Puerto La Cruz), Ecopetrol (Bogotá), TecPetrol (Maracaibo), Energie Beheer Nederland (Heerlen), Statoil (Stavanger), NIOC (Tehran), Technical University (Delft), Schlumberger NExT in Nigeria, GNPC (Khartoum), KNOC (Jakarta), Bharat Petr. (Jakarta), Nuon (The Hague), OTM Investments (Wassenaar), Bhrat Petr. (Dallas), Bharat Petr. (Rostov, Russia), GDF Suez (Paris), several gas projects North Sea for Fugro, Leidschendam and ERC (Explortion Related Consultancy), Oegstgeest. His main interests are estimation of undiscovered hydrocarbons from a global prospective down to individual drilling targets, exploration strategy and global fossil energy supply problems. He has developed the GAEAPAS prospect appraisal program and the GAEATOOLS package of geological programs facilitating evaluation and exploration planning. I have been lucky to have been doing oldfashioned rough fieldwork, which is now possibly an exception! Especially the 500 Km survey from La Paz to Rurrenabaque (Bolivia) with mules, walking/climbing, and traveling on the Rio Beni with balsa rafts was an unforgettable experience! 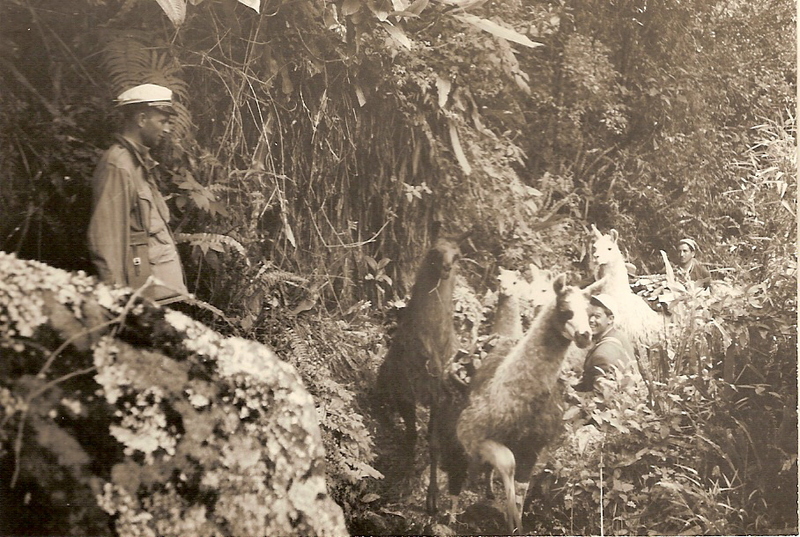 On the old Inca path in the "foothills" of the Andes, 1960. 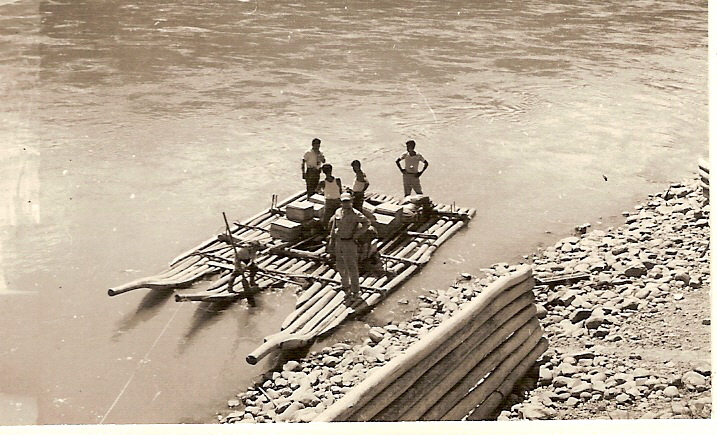 Balsa raft at Teoponte, waiting for our party of ten with 900 kilo luggage, 1960.